Why Buy From McDonald Mazda West? Welcome to McDonald Mazda West, where we treat you like family. You’ll enjoy a car-buying experience like no other when you shop our Mazda dealership in Lakewood, CO, because we’re dedicated to offering our customers friendly and transparent sales that will them satisfied after they buy or lease a new Mazda sedan or Mazda Certified Pre-Owned SUV. 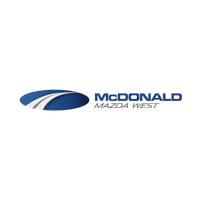 Whatever model you choose, the McDonald Mazda West team wants to be your continuous for Mazda service, parts and financial advice down the line. Visit our Lakewood, CO, Mazda dealer today and see why we’re different from the rest! And in most cases, it’s why they do too. Our used and new Mazda inventories are fully stocked with all your favorite models, such as the Mazda CX-3 SUV, the Mazda3 sedan and the Mazda MX-5 Miata convertible. To show our gratitude for all the support our customers and Colorado communities have given us, we want to pay it forward! That’s why McDonald Automotive Group is heavily involved with local charities and organizations, such as Wish for Wheels, a nonprofit organization designed to provide local children with bikes and helmets to promote better health and wellness. We also support Bike MS: Colorado, which is a cycling series that supports and raises funds for MS treatment. We’re also a proud sponsor of Denver’s Major League Soccer team, the Colorado Rapids. Open six days a week during convenient hours, our Mazda service center is ready to give your car the maintenance it deserves! Bring your Mazda sedan or SUV in for routine service or extensive repairs at a time that best fits your schedule. You can drop your Mazda off as early as 7 a.m. from Monday through Friday, so you can still get to work on time. Having trouble deciding whether to buy or lease a Mazda? Meet with our Mazda finance experts! Our professional finance department staff will explain the key differences between buying or leasing a Mazda, determine your credit situation and provide you with an option that best accommodates your lifestyle and budget.